My name is Marina I hope my letter will find you in good mood. II for the first time try such way of dialogue, and I really do not know what to tell right now even that I understand that this first message is of great importance. But I have decided to write to you and maybe you will answer. I sincerely hope that you are looking for the same as I. Once upon a time, the loneliness has come into my home and since then does not want to let me off. I freeze from loneliness. Every evening I look at a sundown and I try to absorb all warmth of day, up to last drop. I am looking for a partner in life to share simple pleasures and together take off from the soul the weariness and sadness given. I am looking for a man to become friends first of all and to go together along the road of life, to have common joy, together enjoy autumn magnificence, together the future. I do not know if it is really possible to find it in such a way. But I know that many people not been able to find happiness in the usual life, have found happiness in this way. I am happy where I now, and my life is a good life, but happiness has no sense if you cannot share it with person dear to you. I could not find here a man who will make me blossom like flower. That is why I took this courageous for me step. As speak, the journey of a thousand miles begins with a single step. To tell about itself briefly is impossibly, therefore I will not try to do it now. I will wait for your letter and if you are really serious in your search, maybe we will find interest in each other. Neither of us knows to where this path will lead but I am willing to walk it and see where it takes us. I tried to put my picture in my profile, but I understand nothing in computers and I did something wrong. But I will send my picture through e-mail if you will answer me. Scam alert! The E-mail above is a SCAM. 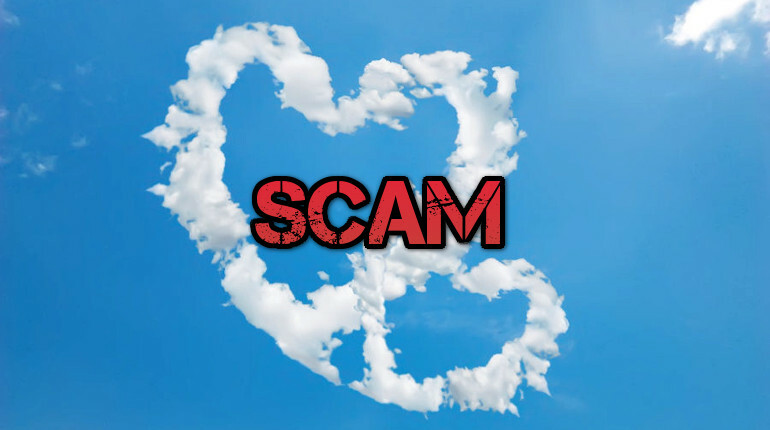 It’s a Love scam, the story and all names & roles are fake. The scammers will ask you for money for whatever reason before you will meet this woman (which will never happen offcourse).